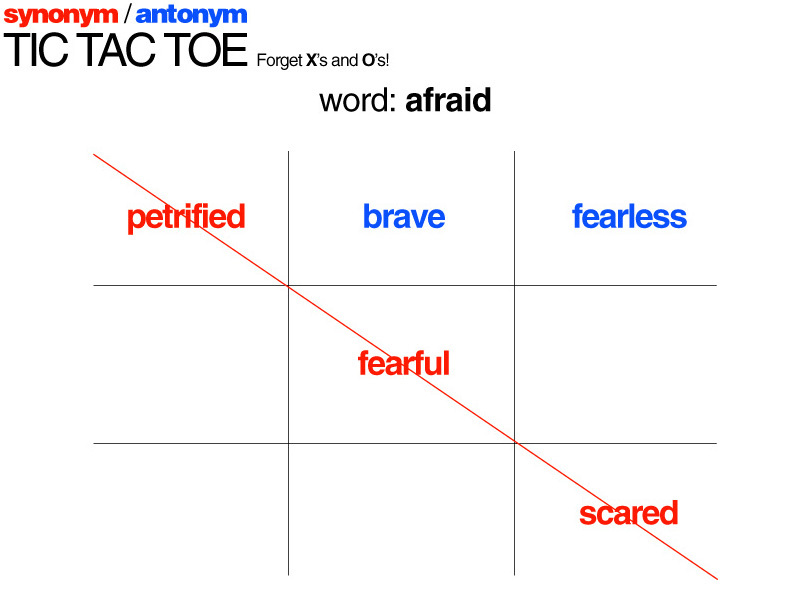 Cool idea from ehow: Replace X's and O's with synonyms and antonyms in the classic game TIC TAC TOE. One player thinks up synonyms for the given word. Player two has to come up with antonyms. Great way to expand kids' vocabulary!